Joseph B. Harvin was born in Columbia, South Carolina on December 16, 1952 to Dr. John R. Harvin and Margaret B. Harvin. His dad was a pediatrician and his mother worked as a housewife and for the IRS. His parents gave him with a strong work ethic, teaching him to be reliable, disciplined, dependable, and instilled in him a strong sense of integrity and responsibility. He attended St. Andrews Presbyterian College in North Carolina where he obtained a B.A. degree in Business Administration and was on both the tennis and golf teams. After college he worked in Washington, D.C., as a personal aid and communication assistant to a United States Senator Vance Hartke and, at night, as a postal worker in the U.S. Senate. He also worked for the United States Committee on Veterans Affairs. He then decided to return to school and obtain additional education. He attended the University of South Carolina for a non-degree Masters of International Business program and was accepted at George Mason University School of Law in Arlington, Virginia where he received his J.D, - Juris Doctor Decree in Law. As Mr. Harvin had always been fascinated by the sea, sailing, and maritime commerce he applied and was accepted to Tulane University School of Law. He moved to Louisiana, studied and received his LL.M degree - Master in Admiralty (Maritime) Laws with High Honors. Mr. Harvin met his wife, Sandy, a vibrant New Orleans lady, married and was blessed to be the father of two lovely daughters and the proud Paw Paw of three grandsons and one lovely granddaughter. Mr. Harvin and his family lived in Metairie, Louisiana for 18 years and then moved to the Northshore and have resided in Slidell ever since. He was raised in the Episcopal church while his wife and daughters are of the Catholic faith. Mr. Harvin is a former member/broad member of the Slidell Rotary Club and an organizer of the Slidell BBQ Cookoff. He is a graduate of the Slidell Leadership program (now Leadership Northshore); a former board member of Leadership Slidell, the Slidell Heritage Festival, Rainbow Childcare, Slidell BBQ Challenge, Florida Parishes Juvenile Justice Commission and Sewerage Board # 7. Mr. Harvin is currently on the Membership Committee leadership of the Slidell Founders Chapter of BNI. While attending George Mason University School (now Antonin Scalia Law School) of Law during his third year he was permitted, took and passed the Virginia State Bar. After graduation, Mr. Harvin initially practiced law in Virginia writing U.S. Supreme Court and Appellant briefs and as a part time job conducting real estate title searches (which in Virginia must be searched back to the time of George Washington). He then took a brief time off of work to study and pass the South Carolina State Bar. Following his receipt of his S.C. bar license, his family requested that he consider applying for a job as a Public Defender in Colleton, South Carolina. Despite having limited litigation experience, Mr. Harvin accepted the challenge and obtained the job as a public defender in Colleton County. This job entailed Mr. Harvin not only to handle the multitude of adults and children in Colleton County, as the sole public defender to represent such cases in the nearby counties of Beaufort and Hampton Counties. During his nearly 3 ½ years as the Colleton County Public Defender, Mr. Harvin tried multiple felony, misdemeanor, juvenile delinquency, and child-in-need-of-care cases, learning the ins and outs of courtroom procedure and tactics. Following Mr. Harvin’s acceptance at Tulane Law School, Mr. Harvin worked in a maritime defense firm, Hebert & Abbott, defending marine companies and learning the realities of practicing maritime law from a defense prospective. After obtaining his LL.M in Admiralty Law, in 1985, Mr. Harvin passed the Louisiana State Bar exam and became a Louisiana Notary Public. 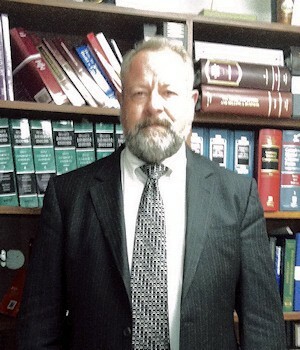 He practiced maritime law as a plaintiff’s attorney litigating the injured in maritime (Jones Act, Unseaworthiness, asbestosis, drilling platform, river tugboat/barge, LSHWCA, 905(b) and vessel crew injuries (navigable waters inshore, offshore, river, and bluewater seaman); land based personal injuries including auto, truck, motorcycle, slip/trip and falls, products liability, Louisiana Worker’s Compensation and Longshore and Harbors Worker’s Compensation claims; Social Security Disability Insurance, Social Security Supplement Security Insurance Claims; while also representing his client’s in traffic, DWI, criminal, business (formation, contracts, dissolution, and disputes). In handling the above claims, Mr. Harvin mediated many disputes both in formal and informal mediations. Mr. Harvin and his former partner opened the law firm of Harvin & Sossaman, PLC., in Metairie, Louisiana in 1985 and worked together until 2003 when Mr. Harvin and his family moved to the Northshore. In 2003, Mr. Harvin opened his own practice, The Harvin Law Firm as a professional law corporation when he and his family moved to Slidell. He practices law throughout Louisiana and in other states, singularly and in association with other attorneys whom contract for his legal knowledge, experience and assistance. Although, Mr. Harvin’s passion is in assisting his maritime and personal injury victims to make full recovery for their damages, Mr. Harvin has handled many, many Successions and probate matters for his clients, friends and other attorneys. He prepares Last Wills & Testaments, Trusts and makes sure that his client’s families Successions and estates are properly and timely resolved. As Mr. Harvin is a family man, he has always been interested in family and children legal rights and actions and represents parents in domestic disputes (divorce, child custody, child support, community property partition/dissolution, intra-family adoptions) as both a private attorney or family mediator and in recovering children for their parents from the state as both private and court appointed counsel. Mr. Harvin also writes commercial leases, business contracts and represents and assists business clients with their legal issues.